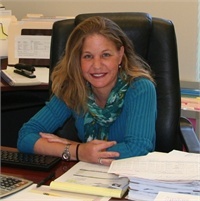 Stephanie McCarthy | IMS Partners, Inc.
Stephanie McCarthy is a Florida State licensed agent and over the last 15 years has built a successful career in the Insurance Industry, focusing on the Senior Market. She is skilled in every aspect of the business from Marketing to client account Management. Stephanie’s favorite part of the business is educating through our group seminar presentations and working closely with her clients. She finds it extremely rewarding to watch her clients achieve their financial goals through plans and strategies she helps create, implement and maintain.